The Rebel Sweetheart. : Kids and Pets: Top 5 Kid-Friendly, Hypoallergenic Dog Breeds. Kids and Pets: Top 5 Kid-Friendly, Hypoallergenic Dog Breeds. A few weeks later, he asked me if we can raise an iguana at home - an idea most likely inspired by watching Nat Geo Wild day in and day out. I vehemently disagreed, of course. Save for turtles, I really can't stand the sight of reptiles. These days, he's been leaning towards more 'normal' pet choices, like a cat or a dog. And if you've been a long time follower of this blog, then you might recall that I used to have a dog - a Shih Tzu-Poodle named Stalin. My husband has already agreed to Yue's idea, and now it's up to me to choose which dog to get. The Goody Pet has a comprehensive list of child-friendly dog breeds, which I have narrowed down to these hypoallergenic, asthma-friendly choices. 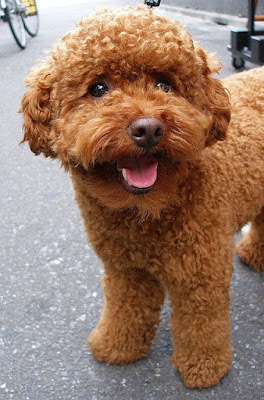 When it comes to hypoallergenic or non-shedding dogs, Poodles are at the top of the list. They come in three different sizes - toy, miniature, and standard. The latter make good family dogs, as they get along very well with children. Poodles are one of the most obedient and smartest dogs; they love to play, and enjoy physical activities. Poodles have hair - not fur - which do not shed, making them the perfect companion for dog-lovers with asthma and/or allergies. 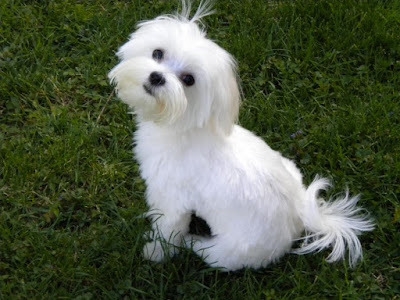 One of the more popular breeds of lap dogs, Maltese are known for their straight and long white coat. Maltese dogs can weigh up to 7 pounds, and have a lifespan of 12 to 14 years. Extremely lovable and playful, Maltese also make good watchdogs as they bark at strangers and other dogs. Shedding is almost non-existent in this breed as they have no undercoat. They do, however, require regular grooming to keep their white coats clean and free of mats. 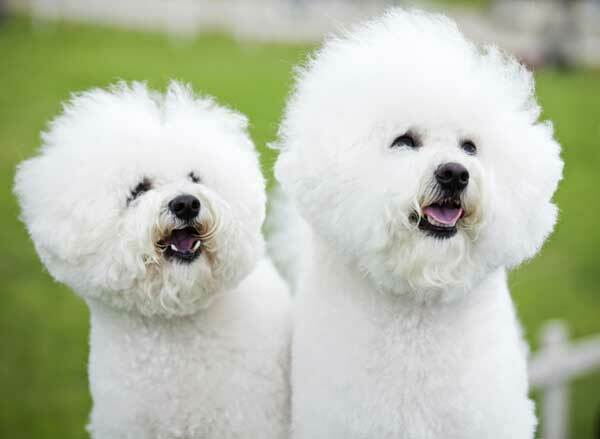 A Bichon Frise is a small breed of dog which traces its origins from Spain and Belgium. One of the sweetest and most affectionate breeds, Bichon Frise dogs are known for their cotton ball cloud of curly white hair which have minimal shedding. They are playful and energetic, and very amicable towards children. Like the Maltese, the Bichon Frise also requires regular grooming to keep their coat in good shape. 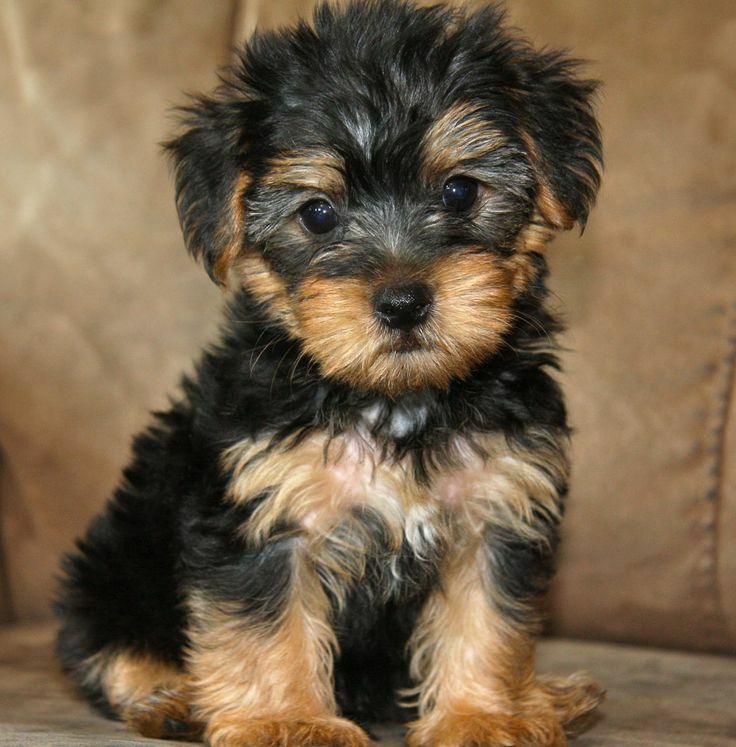 Yorkshire Terriers are tiny dogs with a big personality. Good-natured and playful, Yorkies - as they are often called - usually weigh less than 7 pounds and have a lifespan of approximately 14 to 16 years. The hallmark of this breed is its coat color - a lovely shade of tan with a dark steel blue hue. They don't have an undercoat and they hardly shed, but it does take a lot of work to keep their coat fine, silky, straight, and free of mats. Yorkies also make good guard dogs as they tend to bark excessively (sometimes a little too much) at strangers. Originally bred for for royalty in China, Shih Tzus are known for their warm and friendly personality which makes them one of the most popular toy breeds around the world. Playful and affectionate, Shih Tzus are friendly towards just about anybody - whether its kids or strangers or other dogs. 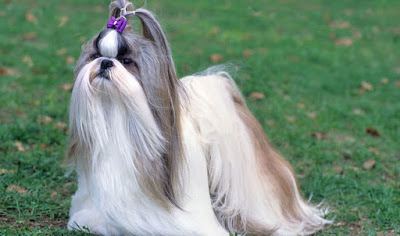 Shih Tzus are also one of the few breed of dogs whose coat is made up of hair. They shed very lightly, but their coat needs to be combed daily to keep tangles at bay. Professional grooming is also recommended, especially during the hot summer months when their coat needs to be kept short. So, which breed will we be getting? Honestly, I'm still undecided. All of the choices here are adorable and sweet. If I had to choose one, it would be the poodle and I like that they do not shed. Love all of these options! We want to get a dog eventually, but it will have to be one that gets along with cats, we have two. I am planning to adopt Yorkshire Terriers. It's really cute. and I am excited about it.